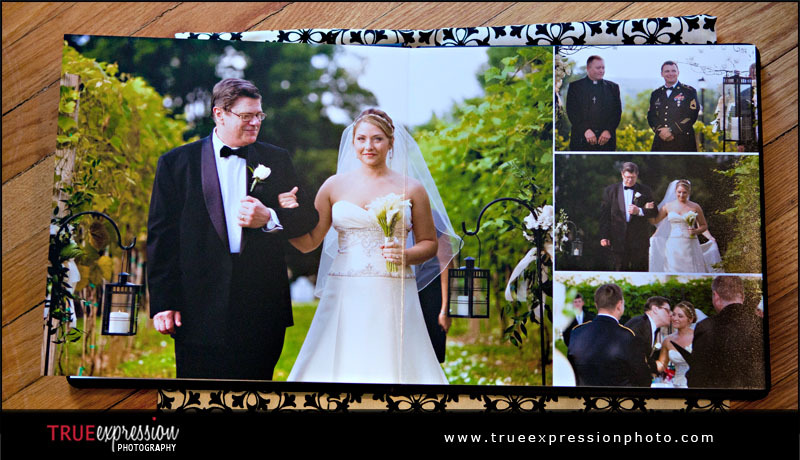 I absolutely love Jackie and Kevin's wedding album from their Chateau Elan wedding this past spring, and I wanted to share a few photos of it for those of you who haven't had the opportunity to look at my albums in person. 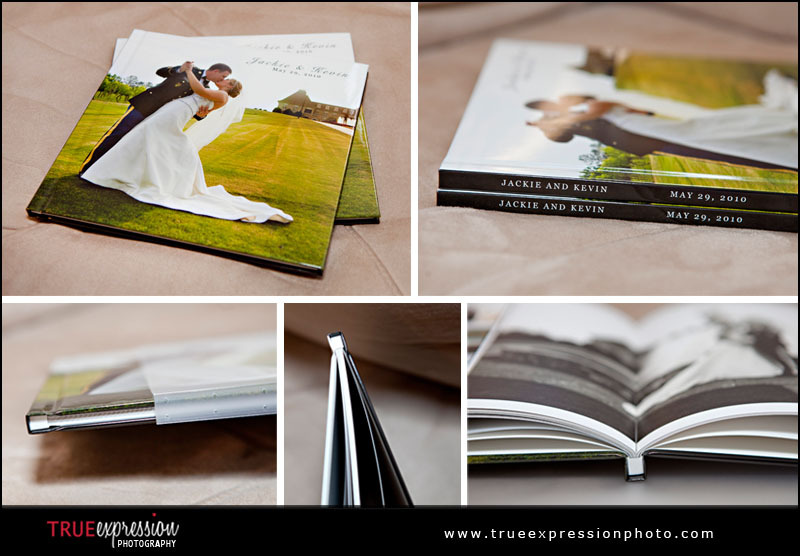 For me, seeing the love story in print, and being able to hold that final product in my hands before delivering it to the couple is such a great feeling! 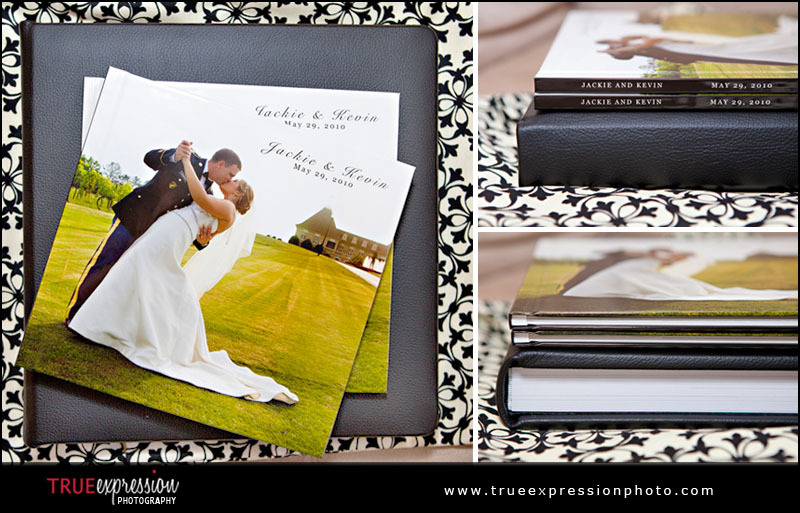 Jackie and Kevin chose a 40 page 12x12 inch black leather album and it is simply stunning! 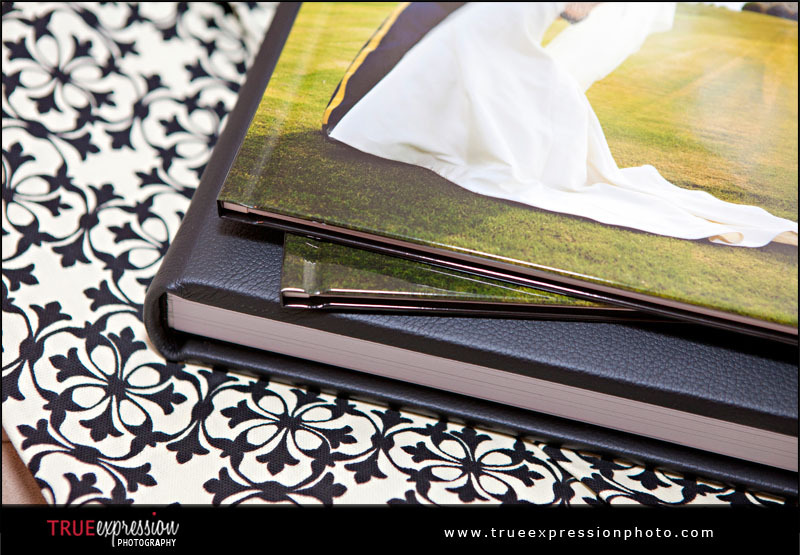 In addition, they chose to get a set of two 8x8 coffee table books with a photo cover for their parent albums. 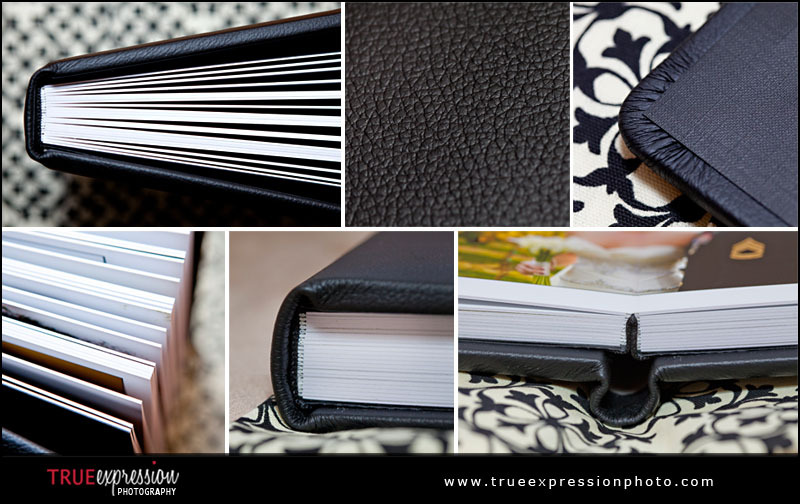 I photographed the three books together to show the difference between how the coffee table book and leather album look side by side. 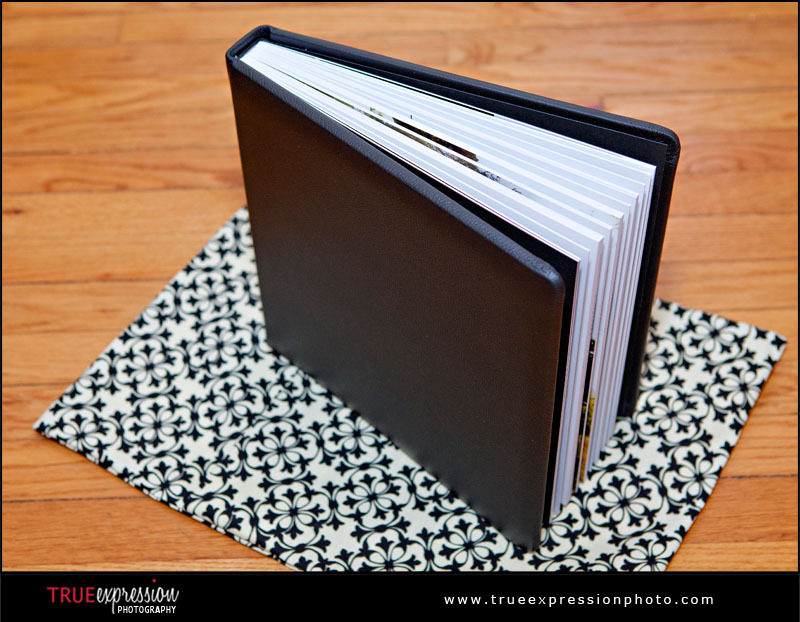 A few of my favorite spreads from their album are below. 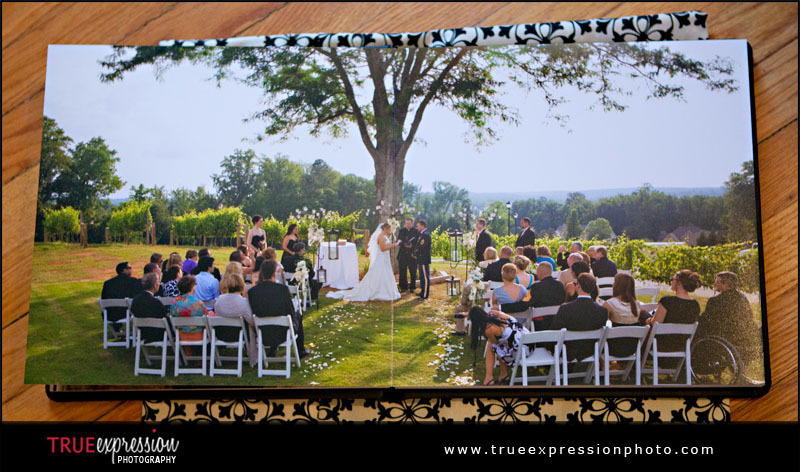 I just love how the double-page spread with the overview shot of their ceremony looks. 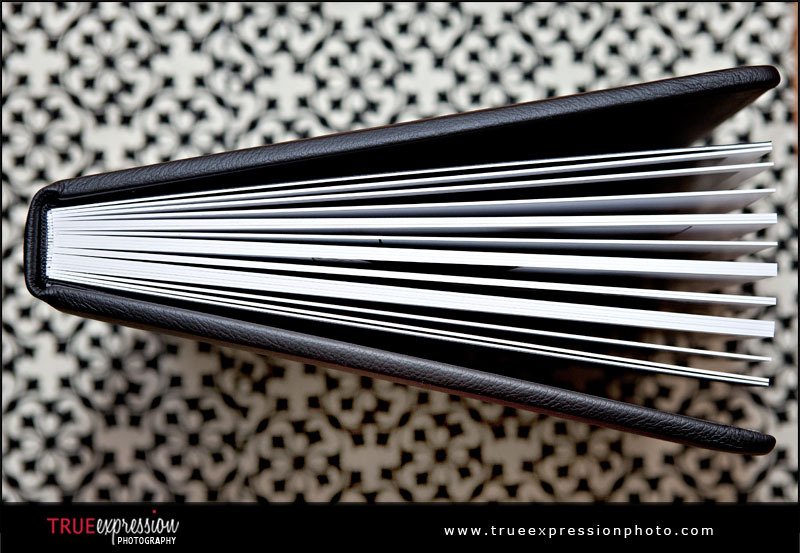 The ability to do this is one of the things I love about these albums!